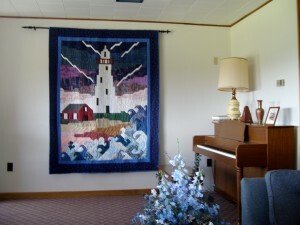 The Singing Sands Inn is a relaxed vacation retreat whether you are just stopping over, or spending a few days to unwind. 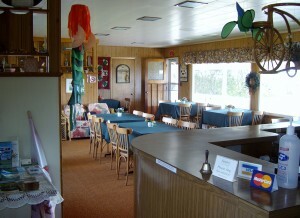 We offer a comfortable, friendly place to stay, nothing grand or ostentatious! ‘The Run’ at nearby Basin Head is a popular attraction for ‘jumpers’, that risk the warning signs about the tidal action of the sea as it flows in and out of Basin Head Lagoon, a Federal Marine Protected Area at the bottom of our property. 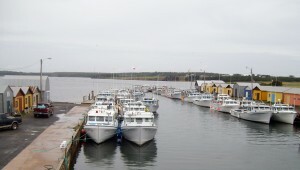 You can book fishing excursions if you prefer, or drive off to sample the bustling sights in Charlottetown or Cavendish before returning to the calm of the motel’s pastoral setting. 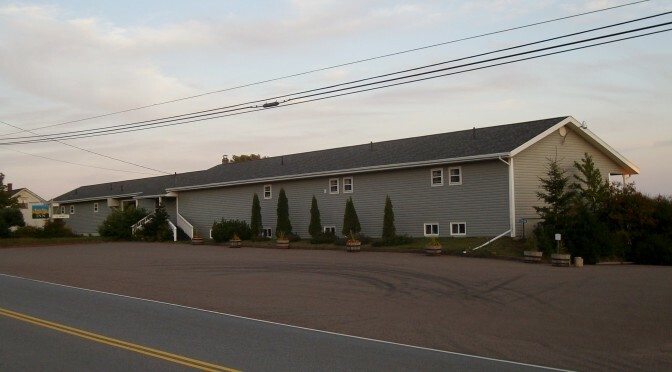 Elmira, the start of the Confederation trail is 9 km east; North Lake, the tuna and lobster fishing port on the north side is 12 km; and the East Point Lighthouse is 14 km away. 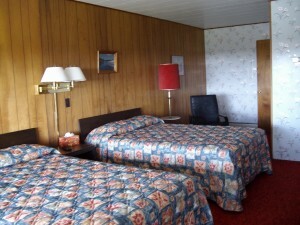 Our entry, reception and common areas are on the upper level as are three queen-bed rooms and three rooms with two double beds. 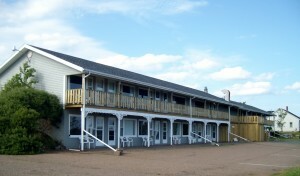 Six rooms, most with two double beds, are on the lower parking level. 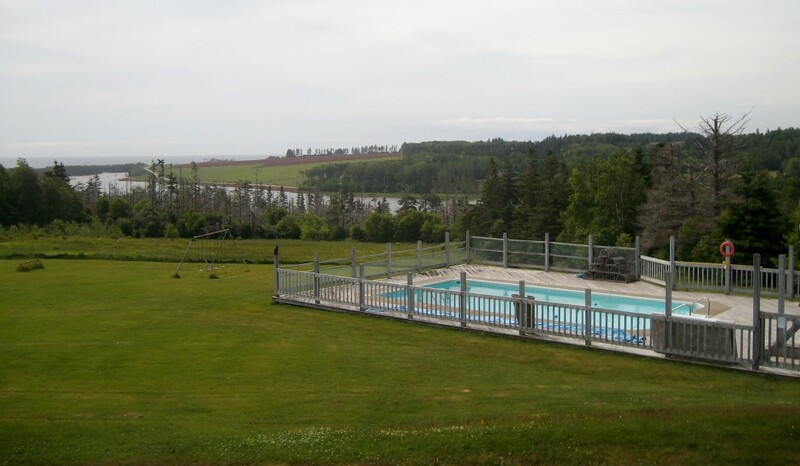 The grounds slope away to offer all rooms a view over the labyrinth and out to Basin Head and the Northumberland Strait. See “RESERVATIONS” for other details. Kingsboro is an area, not a village. We are 11 km (7 mi.) 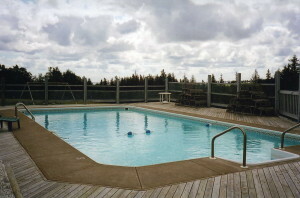 east of Souris on the south side of the highway, Rte #16, (Civic Number: 2518 East Point Road). 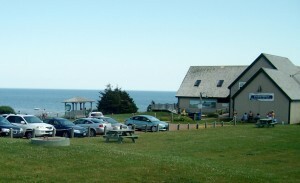 We are just past the turn-off to Basin Head, the access point for the Singing Sands beach (2 km/1 mi.). 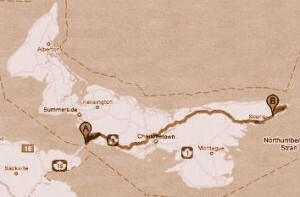 Driving time from the Confederation Bridge is about two hours, through Charlottetown. 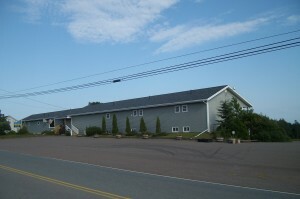 Driving time from the Nova Scotia ferry (Wood Island) is about one hour. 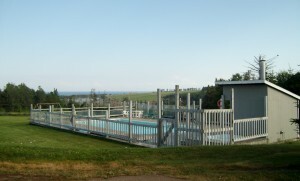 Our view out to the Northumberland Strait. 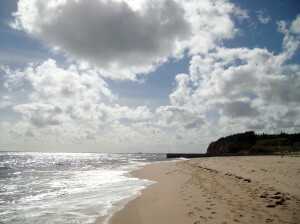 The road to the Fisheries Museum and parking for the Singing Sands Beach is on the other side of the Basin Head Lagoon. 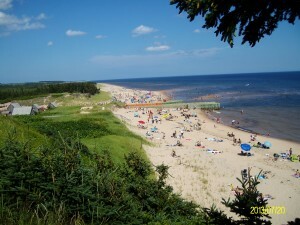 In the CBC’s Seven Wonders of Canada competition in 2009 The Singing Sands beach topped PEI entries (and Basin Head Beach and Fisheries Museum was a runner-up!) . Its popularity in the voting outperformed the comparative population numbers for the Province. 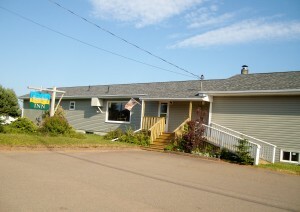 PEI, Canada’s smallest Province, boasts a total population of 145,000 (.42% of Canada’s) yet received .75% of the CBC’s online vote. 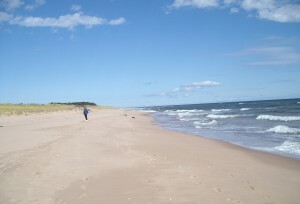 Every summer the Island population swells and the Singing Sands is no longer the Island’s best-kept secret. In the fall of 2009 CBC Radio 2’s Great Canadian Song Quest asked Canadians to share their passions by nominating their favorite locations across the country to be celebrated in song and to vote on who would be chosen to write and perform the songs. 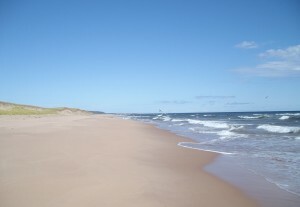 The Singing Sands Beach was the PEI nominee and Catherine MacLellan did it proud reflecting about “A place we know… Singing Sands”.